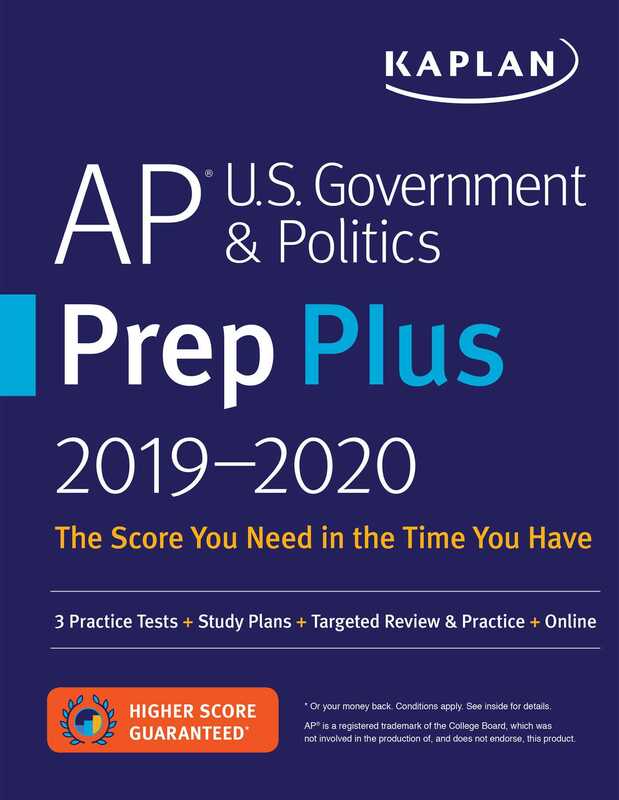 Kaplan's AP U.S. Government & Politics 2019-2020 is completely restructured and aligned with the current AP exam, giving you concise review of the most-tested content to quickly build your skills and confidence. With bite-sized, test-like practice sets and customizable study plans, our guide fits your schedule. We’re so confident that AP U.S. Government & Politics offers the guidance you need that we guarantee it: After studying with our online resources and book, you’ll score higher on the exam—or you'll get your money back. To access your online resources, go to kaptest.com/moreonline and follow the directions. You'll need your book handy to complete the process.